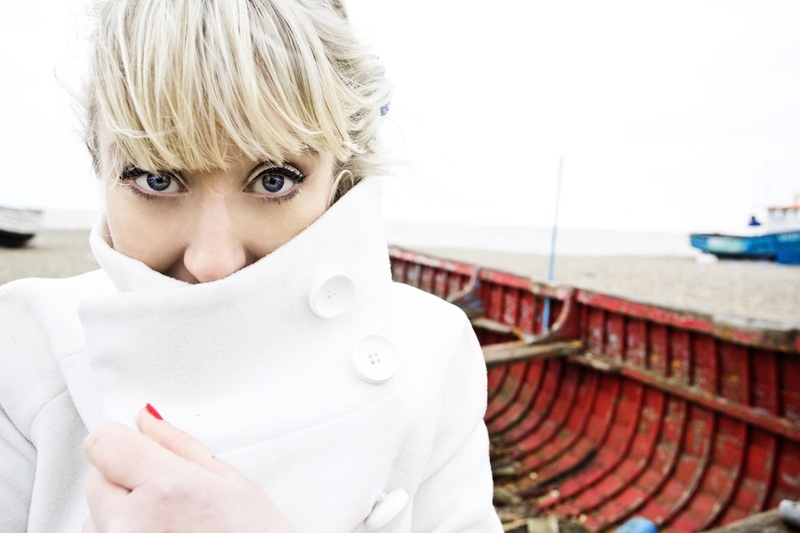 The multi-talented Gwyneth Herbert teamed up with members of the amazingly versatile London Sinfonietta for an hour-long exploration of the sea in Hall Two at Kings Place on Friday 9 September 2016 as part of the Kings Place Festival. This was a continuous programme interspersing pieces from Herbert's 2013 song cycle Sea Cabinet with Lutosławski's Three Fragments and miniatures from Takemitsu's Toward the Sea and Air. Herbert introduced it as an 'experiment', giving the song cycle a 'radical makeover' and, as well as exploiting the eclectic range of percussion on stage, she also invited the audience to help with sound effects. The songs (as I found out later thanks to Google, having failed to pick any of this up from what I heard) described different aspects of the sea, and the titles "Lorelei", "Alderney", "Drip" (you can hear "Drip" on YouTube), "Drink" certainly had watery resonances. Sadly, though, from the back of the hall all we had to go on were the titles and the choruses (plus the bit she sang in French, strangely). Either we were meant to know the songs already, or the words didn't matter. I found this rather frustrating, and also surprising. The voice was the only thing that was amplified; whether the amplification was responsible or if it was the lack of consonants going into the mics, I can't say, but all I know is the consonants never made it to my ears. Now that's out of the way, I should say that Gwyneth Herbert is quite clearly a very talented musician and a very creative and resourceful artist. As well as singing, Herbert played piano, horn and ukelele. She shared the stage with three players from the London Sinfonietta: Karen Jones on flute, alto flute and piccolo, and Helen Tunstall on harp, who played mesmerizingly, flitting from one sound world to the next. Oliver Lowe created lots of watery effects on tuned wine bottles, what looked like a vegetable steamer or colander emptied over a bowl of water, and at one point a cymbal dunked into the water. There were too few instruments on stage to give us a real sense of the power of the sea, but we certainly knew it was there in a summery, Aldeburgh or south-coast sort of way. I didn't notice the lack of consonants myself. I did find the whole thing a bit awkward even though i'm a big fan of both Gwyneth Herbert and the London Sinfonietta. The songs/pieces didn't really flow naturally into one another and Herbert's voice sounded over-nasal to me, compared to when i've heard her sing before. Intriguing idea though and when it worked it was beautiful. It is always fascinating to find out what other people feel about concerts, as one's reaction is so very person. Very interesting to get the view of someone who is a Gwyneth Herbert fan, to see how she came over compared to her usual performance.